These work gloves have a wide application. The Softech outer liner (15 gauge) has been provided with a full nitrile coating that makes the glove liquid tight. 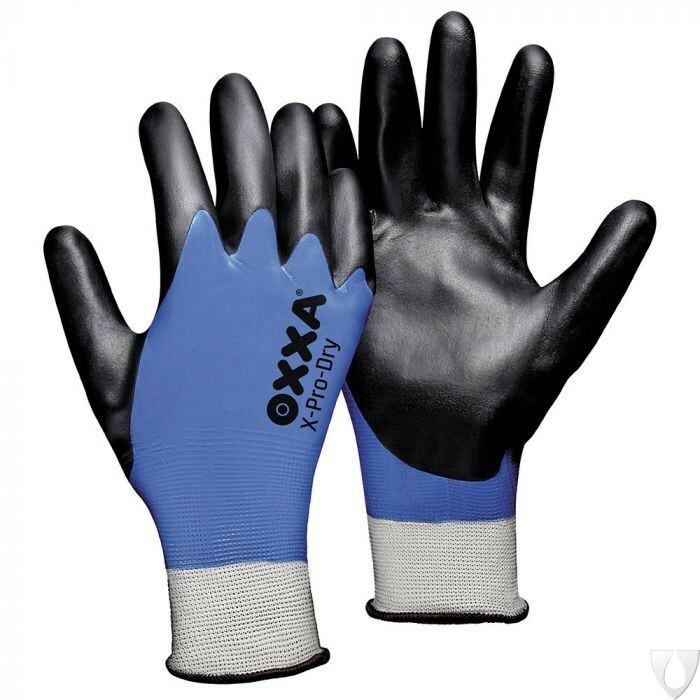 In addition, the nitrile foam coating on the palm provides excellent grip under wet, oily and greasy conditions. Glove with nitrile foam coating. Soft polyester outer liner (15 gauge) that feels like cotton (Softech). Full nitrile foam coating makes the glove liquid tight. The NFT coating on the palm provides excellent grip under wet, oily and greasy conditions. Full 360° protection under oily and greasy conditions. Very high abrasion and tear resistance. Good fingertip sensitivity. The thin glove perfectly suits the contours of the hand. This will reduce user tiredness. Sanitized treatment to inhibit bacteria, minimize odour and encourage freshness.